The home of fully loaded and boozy chocolate! 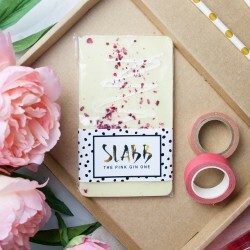 The Slabb was born from a love of interesting food combinations leading to a great idea - why not combine alcohol with chocolate? 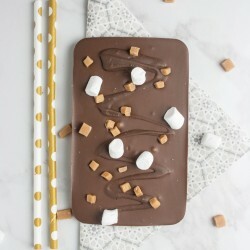 After a lot of hard work and careful experimenting they perfected a way of making their chocolate alcoholic without seizing the chocolate or using other additions such as cream or butter. 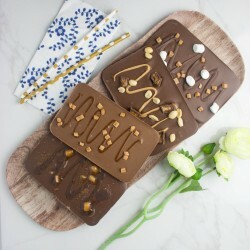 They took inspiration from their favourite cocktails and started creating a range of delicious flavours such as their classic espresso martini bar. 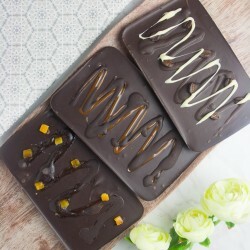 Not wanting anyone to miss out, they have created delicious non alcoholic flavours too so there's something for everyone, such as their well-loved salted caramel bars. Each Slabb bar is lovingly handcrafted with the finest chocolate and 'fully loaded' with alcoholic ganache and complementary toppings.